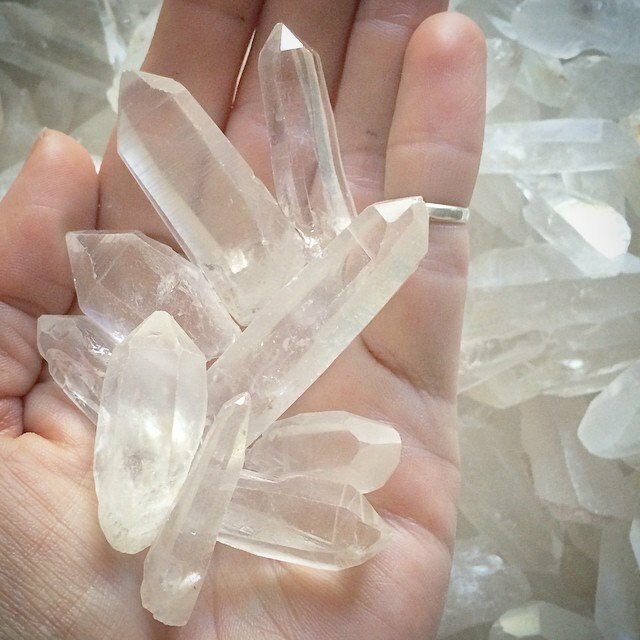 Sorting baby #lemurian #quartz points today. It is believed that the people of ancient #Lemuria were highly spiritual beings… and that they left messages of their ancient wisdom within these stones for us. Can't wait to #dream tonight.